Tony Stark and his team are being attacked by Detroit Steel, a Hammer Industries Iron Man knock-off, and a bunch of smart phone ap driven droids guided to seek and destroy Iron Man over the course of 2 and half issues. Stark Resilient (his new company/team name) is having a hard time trying to figure out how to tap into the cell phone systems to shut down the flying droids so Tony, as Iron Man, can focus on putting Detroit Steel down, when Maria Hill contacts Tony. Hill sees that there is an air fight going on which is causing public destruction and decides to step in and take care of business. Hill has her tech guys shut down the cell phones responsible for controlling the flying bots and then gets on the horn (slang for phone for all of you kids out there) with the U.S. general in charge of Detroit Steel and tells him whats what. Hill basically gets all Happy Gilmore on the general and says, "I know what you're trying to do, and I don't like it." Bam...Detroit Steel ordered to stand down. 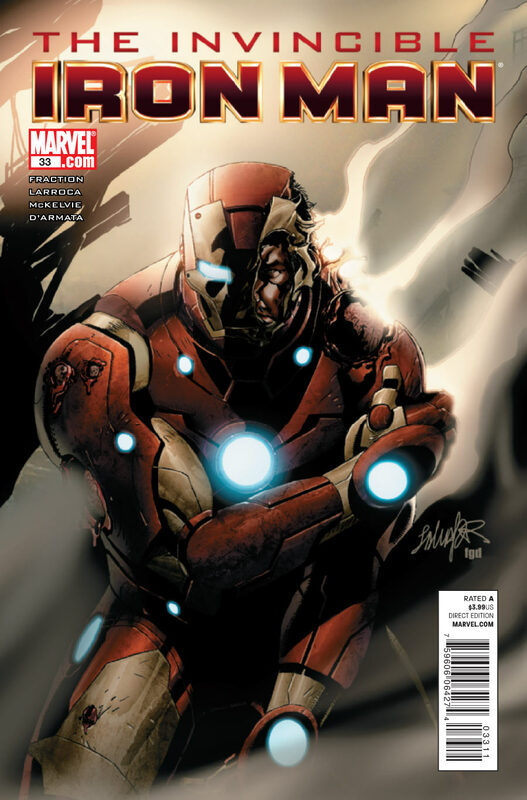 What took Stark several issues to deal with, Maria Hill handled in about 2 pages. Iron Man #33 was cool, and the highlight in the comic of the day was definitely Maria Hill getting all Office Depot: Taking care of business.